I’m about to age myself, but how many of you remember watching the Strawberry Shortcake cartoons in the 80’s? Well it was those fond memories as a kid that got me all excited about reviewing the new and slightly more modern little redheaded girl that loves strawberries. What I liked about the videos was that they included familiar tales or re-enactments of other stories we all know about. For instance, Berry Brick Road, is essentially a rendition of The Wizard of Oz. If Sabrina were a little older I would read the story about Dorothy and the yellow brick road to her and then talk about how the strawberry shortcake rendition was the same or different. The DVD’s also have printable coloring pages that could be an activity to conclude the conversation about same or different. An additional, and very essential feature about the DVD’s given our ultimate goals to expose our baby to Spanish, is that you can adjust the language of choice to English or Spanish. In fact, the characters command of Spanish seemed pretty good which is also an important feature because, as we all know, sometimes translations aren’t quite the same in another language. I think you will enjoy the “new” Strawberry Shortcake and possibly, like me, reminisce about the days when you were a little girl watching all the adventures the little redhead and her friends partake in. This giveaway is now closed. Congratulations to the winners: Kate and Erin! 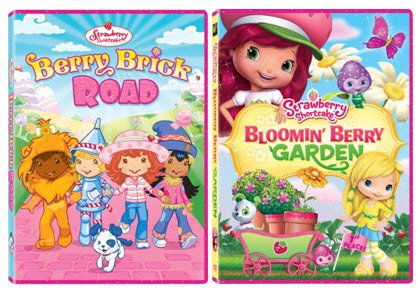 We’re giving away a two DVD Set with Strawberry Shortcake: Berry Brick Road and Bloomin’ Berry Garden to TWO lucky winners. To enter all you have to do is tell us who the Strawberry Shortcake fan is in your family. 2. 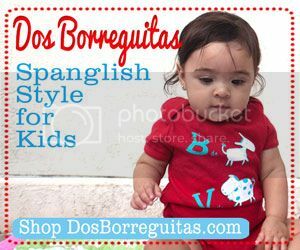 Follow us on Twitter and tweet about this giveaway including a link to the post http://bit.ly/xu4YmF , @SpanglishBaby . Copy the link to the tweet in an additional comment on the giveaway’s post. My daughter is the Strawberry shortcake fan. I do remember liking her as a young girl as well. I am the Syrawberry Shortcake fan in the family and I already show my 4 month old the show. I’m the original fan but now my daughter loves her too. My daughter Sienna loves Strawberry Shortcake- and so do I! My four year old daughter is the biggest Strawberry Shortcake fan. Didn’t mean to enter twice with similiar comment. Whoops! My daughter is the Strawberry Shortcake fan in the family. My 6 year old Ariane is a big strawberry shortcake fan. My 3.5 yr old daughter is a fan of Strawberry Shortcake – I think I was too old and missed the Strawberry Shortcake craze. I loved Strawberry Shortcake as a kid. I think my daughter (who loves to eat strawberries) would definitely enjoy. 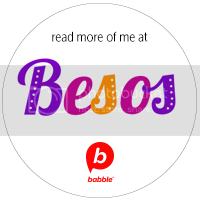 I subscribe and read Spanglish Baby frequently! I look forward to raising my daughter billingual. The Strawberry Shortcake fan in our house is currently me, but I am hoping that my daughter will like her once she sees her too! My four granddaughters are Strawberry Shortcake fans. Not so much the oldest one any longer, but she watches with the younger girls. I have fond memories of watching Strawberry Shortcake and her friends with my own children, so it’s fun to watch a new generation enjoy them too! 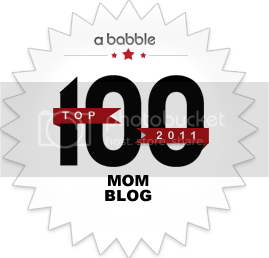 So happy to find your site and love it! Thanks for the great info. I am the Strawberry Shortcake fan and so is my toddler! My niece is the fan! I liked you on Facebook (Beth Book Review). My three year old daughter is the biggest Strawberry Shortcake Fan!! My daughter is the Strawberry Shortcake fan. both of my daughters love strawberry shortcake. Sorry, didn’t notice it was over! My daughter is a Strawberry Shortcake fan!